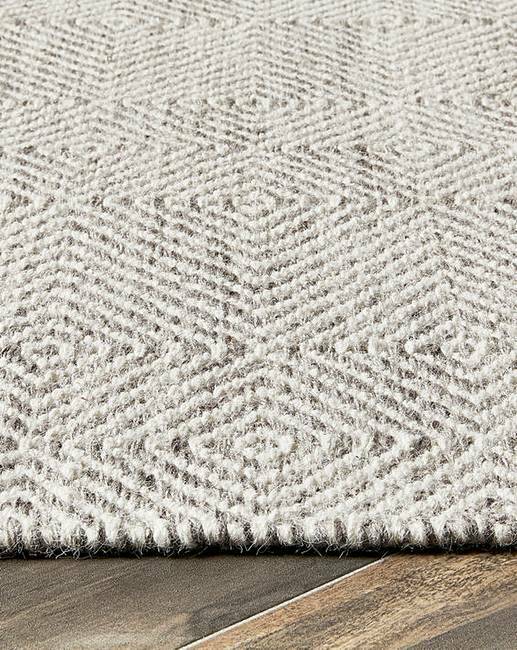 The Estelle rug is both attractive and practical which makes it ideal for your home. 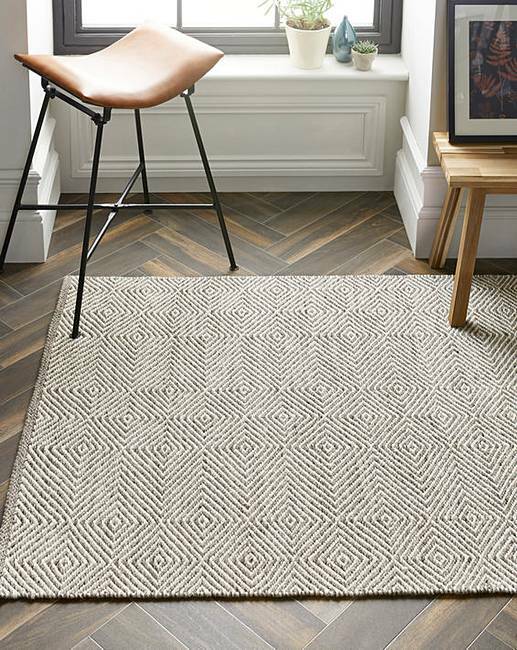 Great for high traffic areas this woven flatweave rug is hardwearing and the traditional diamond pattern looks great on rustic wooden floors. 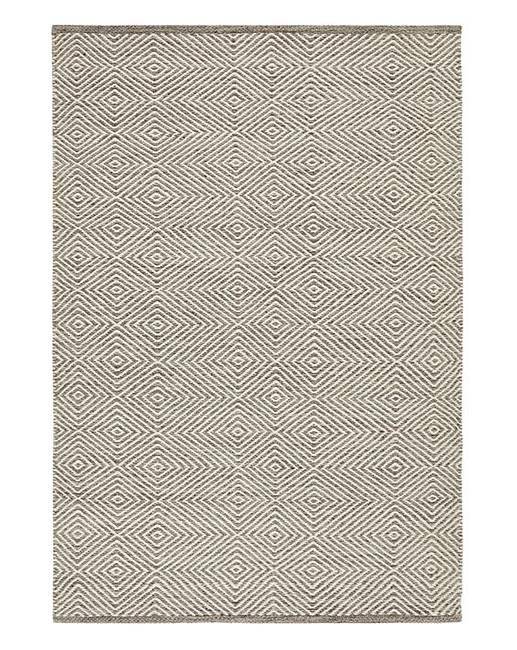 Hand woven by expert rug makers using a pure wool and cotton mix. VACUUMING: It is completely normal for your new rugs to shed fluff at first, this is caused by excess fibres that attach during the spinning process. Once the rug has been vacuumed a few times this will lessen and eventually stop. Regular vacuuming will help to keep your rug looking new for longer and prevent dirt that is on the surface of the rug getting embedded and making it much harder to clean. We would recommend the use of a suction vacuum cleaner to ensure that the pile of the rug isn’t damaged. It is always useful to rotate your rug on a regular basis to even out the wear of the rug or fade if it is in natural sunlight. SPILLS & STAINS: To prevent permanent stains on your rug any spills must be dealt with as soon as they happen. The best way to treat them is as follows: Blot up excess with a clean white cloth or paper towel, NB. never rub as this can spread the spill Working from the outer edge of the stain to the centre, apply appropriate carpet cleaner with a clean cloth Pat with a paper towel and leave to dry Vacuum the rug If stain is still visible repeat the process until the stain is completely removed If trying to remove the stain yourself doesn’t work contact a professional carpet/rug cleaning company"